Hyundai Motor America just closed its best month ever with May sales of 70,907, up 3.7 percent versus the same period a year ago. Hyundai Motor America announced April sales of 66,107, up 4.4 percent versus the same period in 2013, setting an all-time record April. 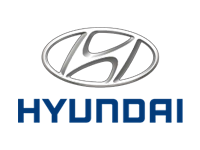 Hyundai Motor America announced March sales of 67,005, up 37 percent over February, down 1.9 percent from a year ago. Kia Motors America (KMA) today reported February sales of 41,218 vehicles, led by the U.S.-built* Optima midsize sedan and the totally transformed Soul, with 11,226 and 10,584 units sold, respectively. Kia Motors America (KMA) today reported record January sales of 37,011 vehicles, led by the U.S.-built* Optima midsize sedan and the totally transformed Soul, with 9,979 and 8,092 units sold, respectively.